Darcy was poised and ready for any spillages! Put your onions in a sealable tub, jar or bowl. Leave in the fridge for 2 hours – 2 weeks. Then enjoy! 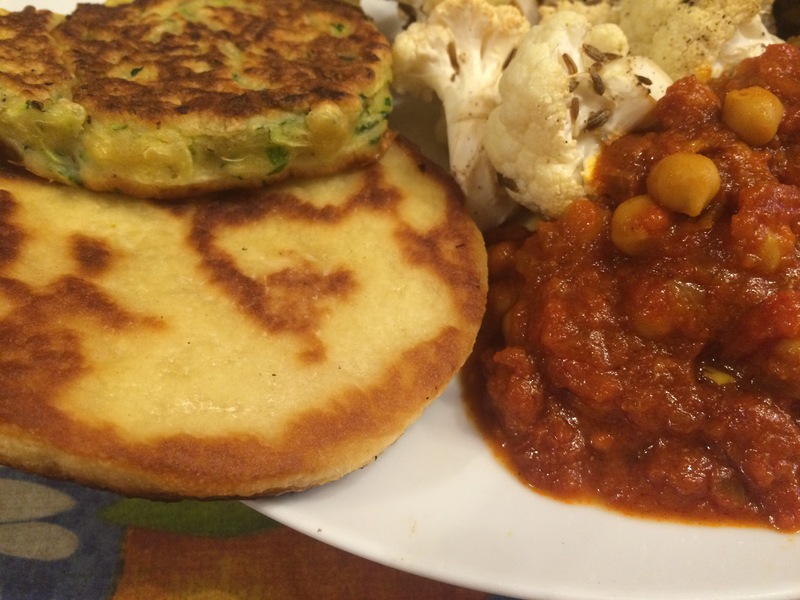 Coming to an end of my Indian theme I wanted something quick and easy to accompany my meal, the Fritters were doing a good Yorkshire Pudding substitute but I just felt that it needed a flatbread to accompany it. I could have made up some dough without too much hassle but with everything else going on in the kitchen I just wasn’t in the mood. I had a can of bread roll dough in the fridge so I improvised! They worked brilliantly! Perfectly portioned, beautifully fluffy inside. This is a cheat I’m sure to turn to again as it was effortless! 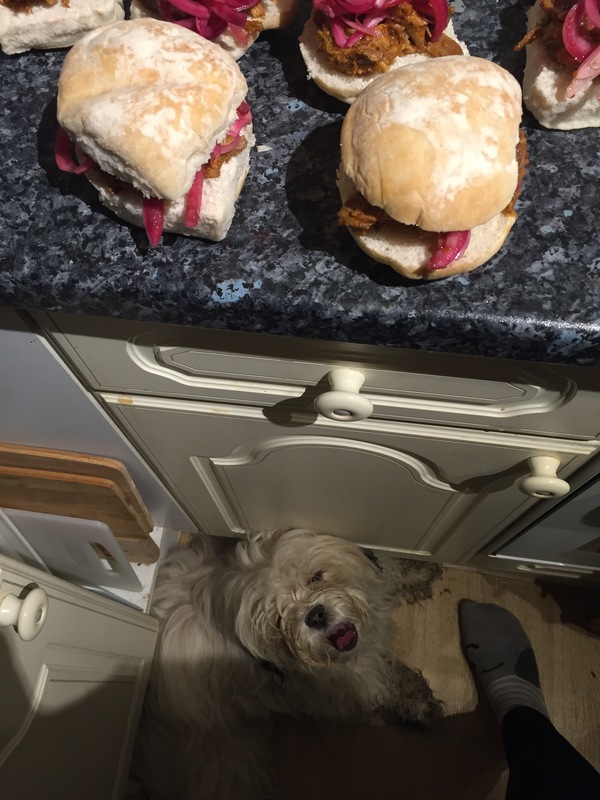 Roll out each “roll” on a lightly floured worksurface. Heat 2 tbsp oil in a large frying pan. Place the dough in the pan and fry for about 2 minutes on each side until the dough is firm and browned on both sides. 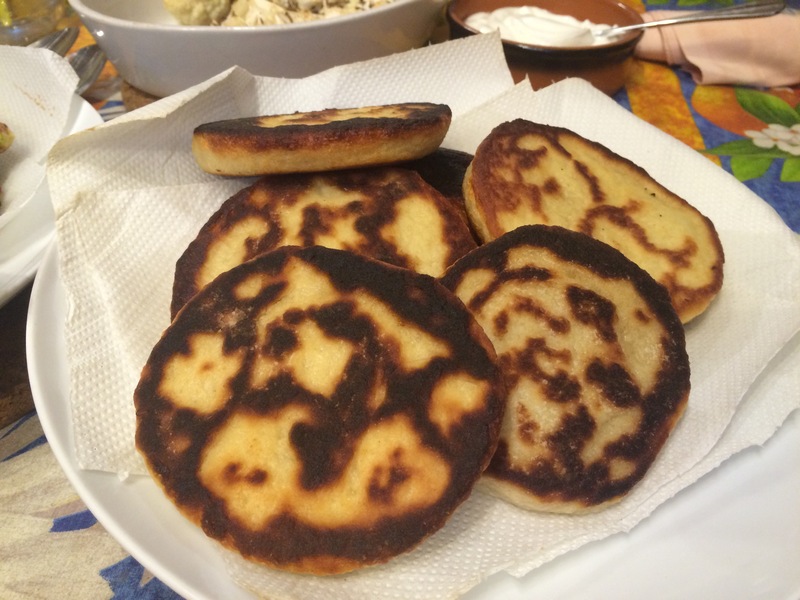 Place the cooked flatbread on a paper towel and keep on a plate in a warm oven until the rest are done. Repeat with the remaining dough, topping up the oil as necessary. This recipe for Channa Masala is a brilliant one to have in your repetoir. 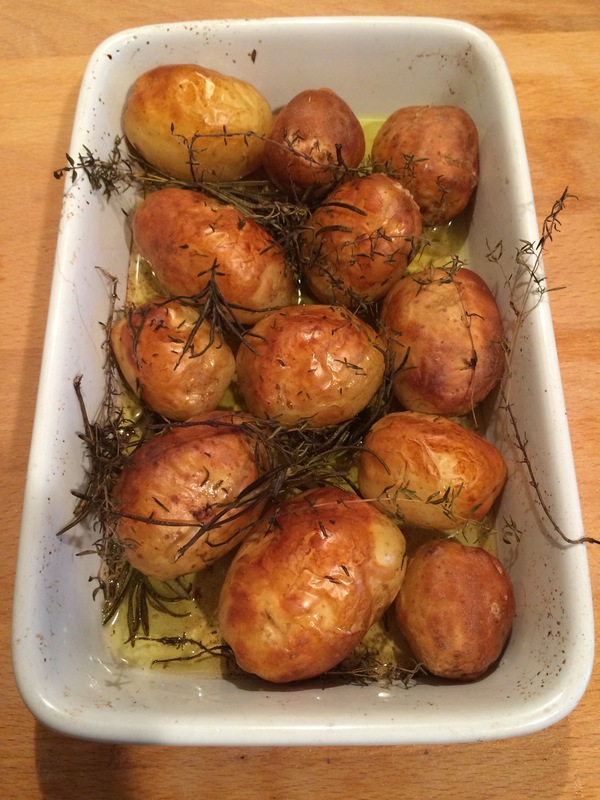 It makes a delicious meal in its own right or a brilliant accompaniment to a large meal. It also makes a wonderful fast day option as it is so filling and extremely satisfying on its own! 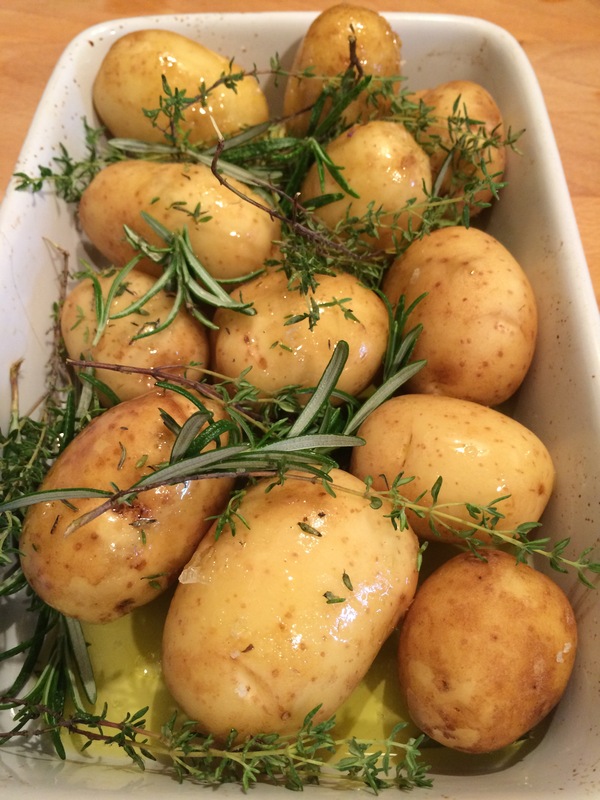 Heat the oil and butter in a large saucepan or deep frying pan. Cook the onion and garlic until soft. Add the lemon juice, tomatoes, puree and chickpeas and simmer on a low heat, stirring occasionally for at least 30 minutes, preferably an hour. The sauce should be slightly reduced and nicely glossy and thick. Serve immediately or this also freezes really well! 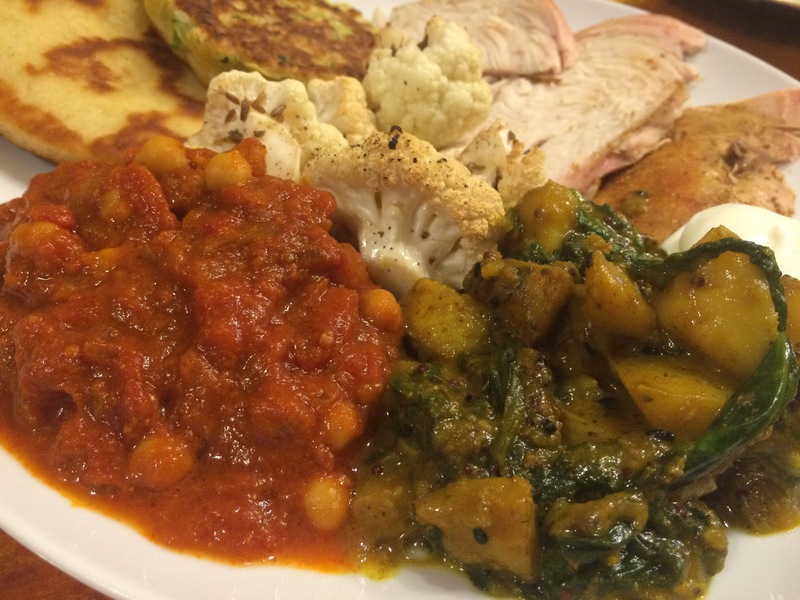 I’ve never actually eaten Saag Aloo before so I don’t really know how this recipe compares to others. What I can say is that I found it absolutely delicious and I will definitely be cooking it again! I will especially be deploying it when my dad cooks curry. I love spices and the breadth of flavours they bring. I am not a fan of blowing your head of with heat! My Dad believes that the hotter a curry is the better. 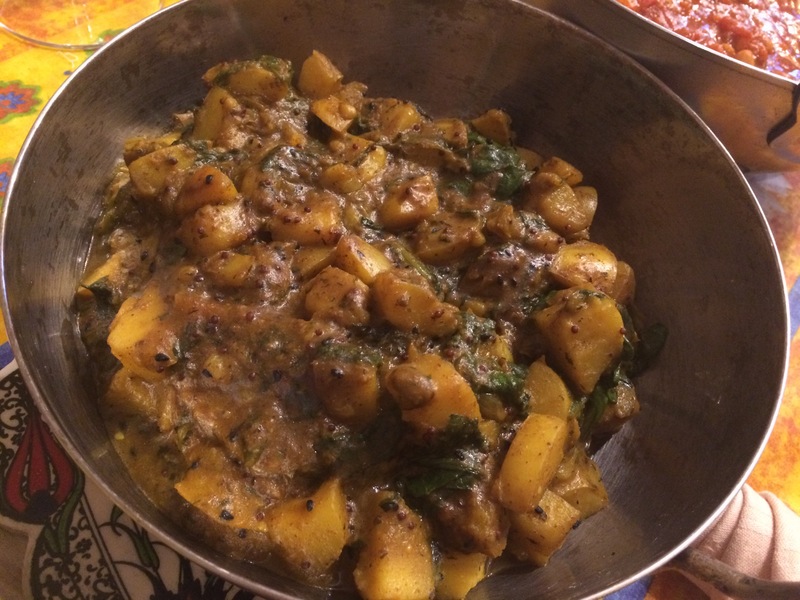 The potatoes and spinach in this Saag Aloo work to cut down on the spice level but still with a fantastic depth of flavour in its own right. Heat the oil and butter in a large saucepan until bubbling. Add the onion and garlic and cook with the lid on for about 3 minutes until the onion is soft. Add the spices and cook for 1 minute. Add the potatoes and just enough boiling water to cover them 3/4 the way up. Simmer with the lid on for 20-30 minutes until a sharp knife pierces the potato softly. Add the spinach and give it a stir to wilt. Serve with whatever you wish! 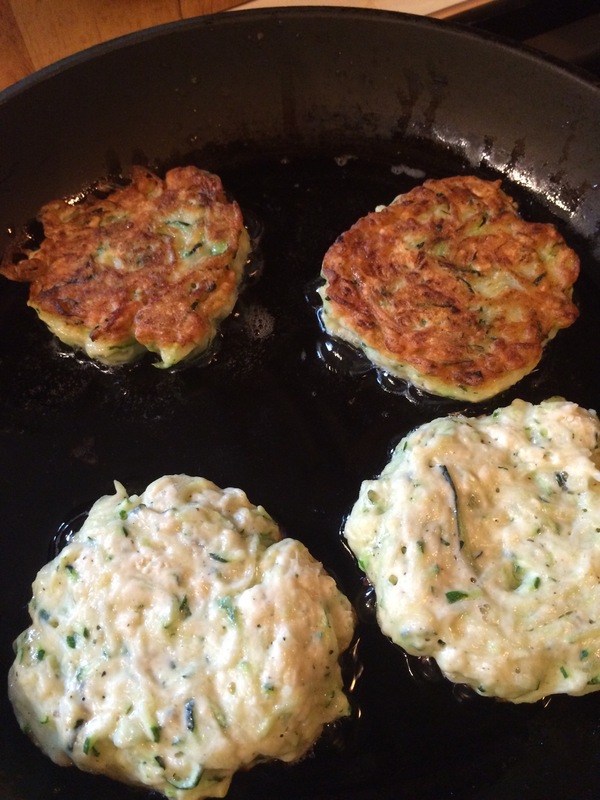 These Courgette Fritters are so quick and easy to whip up and make a delicious side dish to accompany any number of dishes! They’re also pretty good as a brunch option with poached egg and bacon! They’re pillowy soft and have a nice crisp to the outside. I absolutely adore them! 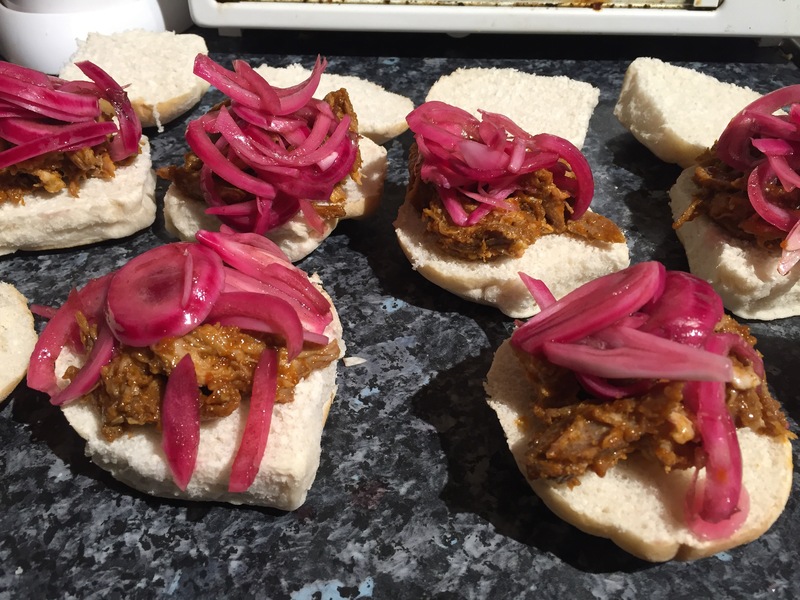 I love that such relatively simple ingredients can come together to make something so tasty! I also love how quickly I can whip these up. Especially if I already have courgettes grated from making say, a Spiced Chocolate Courgette Cake! 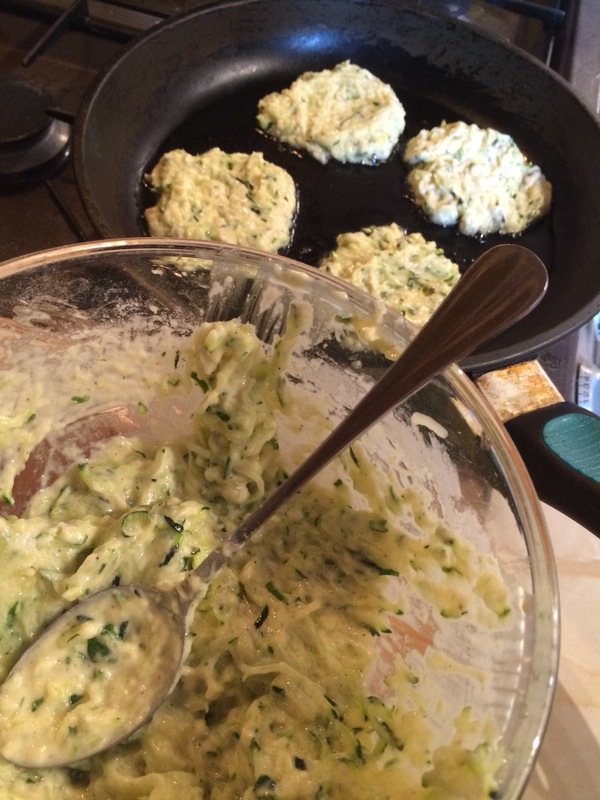 Place your grated courgette in a sieve over a bowl or sink and springle with salt. Leave it for 5-20 minutes. Gently press out any liquid. 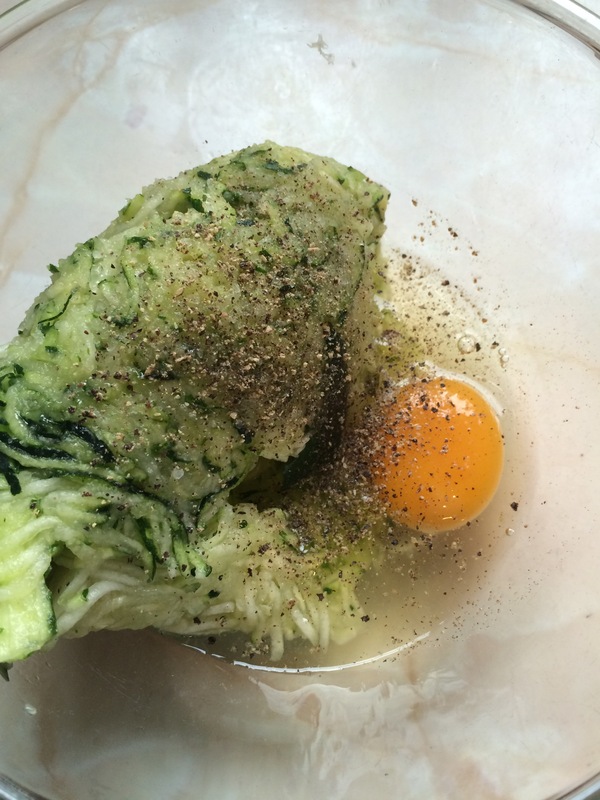 Combine the courgette, egg and pepper in a mixing bowl, give it a good stir! Heat a few tbsp oil in a heavy frying pan (cast iron is great). Add a few spoonfuls of your mixture, well spaced, and press down slightly to level. Cook for a few minutes until crisp and golden brown then flip over and cook for another few minutes until golden brown on the bottom and feeling solid when pressed in the centre. Place on paper towel on a plate and leave in a warm oven while you repeat with the remaining mixture. Enjoy as a side to a main meal, serve for an unusual brunch, take on a picnic, whatever takes your fancy! 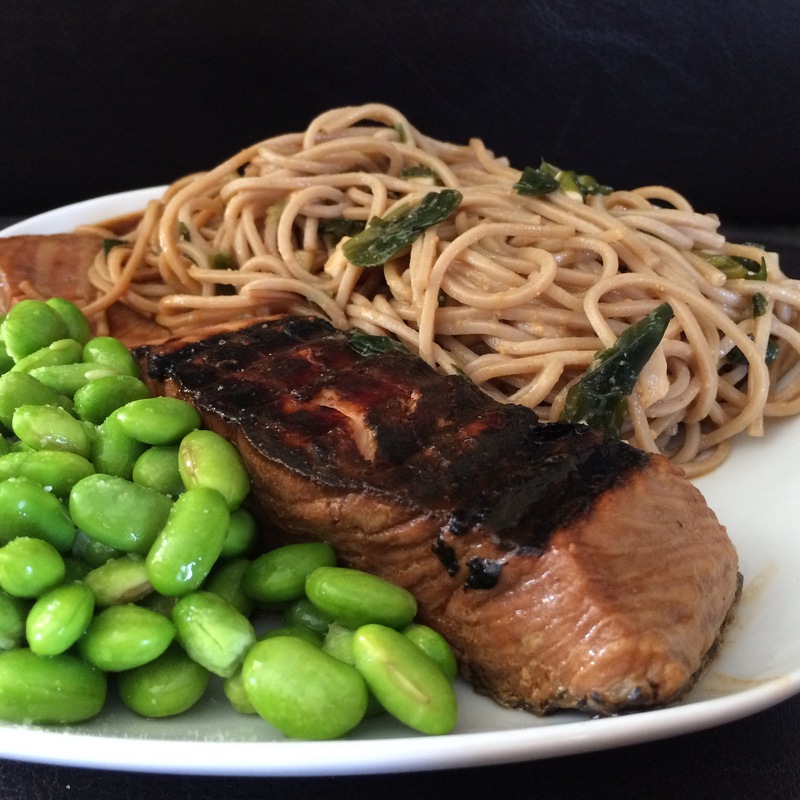 A recipe with a bit of a Japanese twist today! 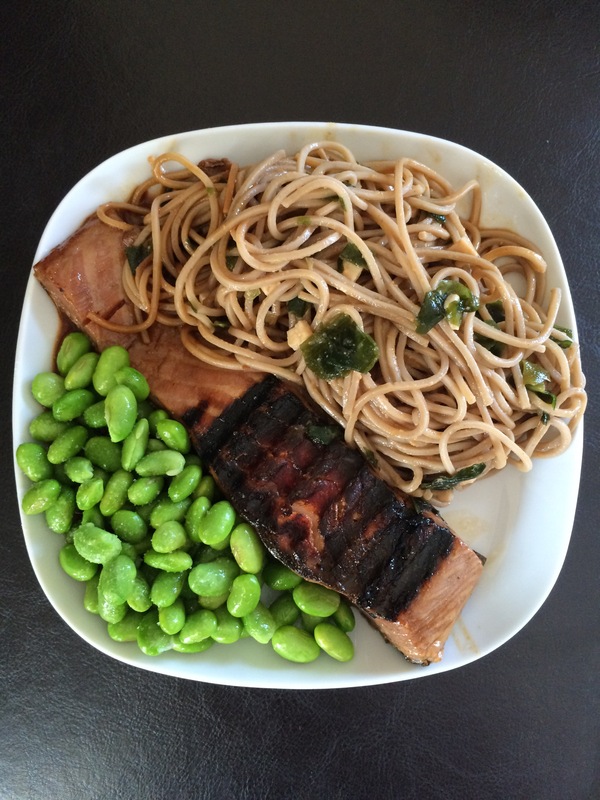 This Grilled Salon with Miso Soba Noodles is quick (about 10 minutes to cook), simple and delicious! What’s not to love about that? Oh and it’s super healthy for you too! You marinate the salmon the night before (or even for a few days, it won’t spoil it!) and then simply pop it on the grill while you cook your noodles. 10 minutes, done and dusted! I actually made this for my lunches during what I knew was going to be a hectic week. I needed good quality food, full of nutrients that would tempt me to actually stop and eat rather than grabbing something worthless on the fly. This dish is delicious either hot or cold. If you haven’t had cold noodles during a heat wave I urge you to give it a go, they’re divine! 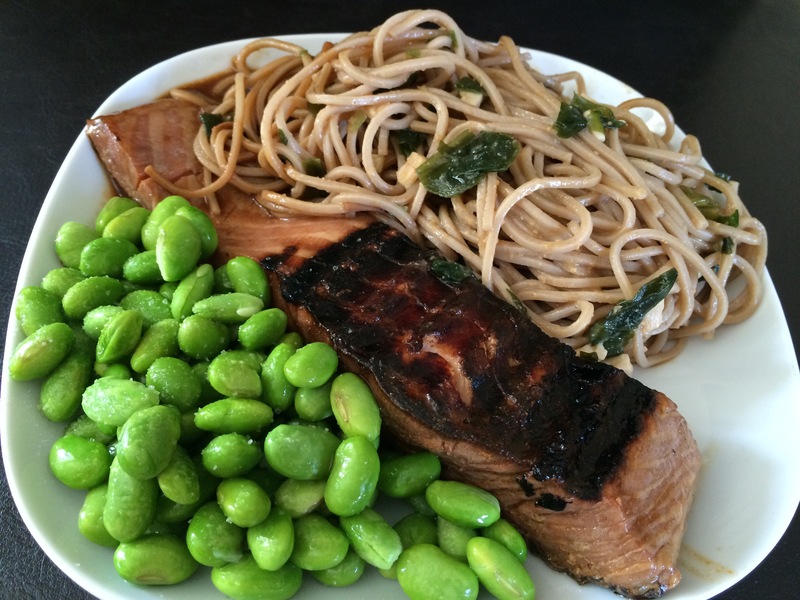 – Place your salmon in a sealable watertight bag and add the soy sauce and mirin. 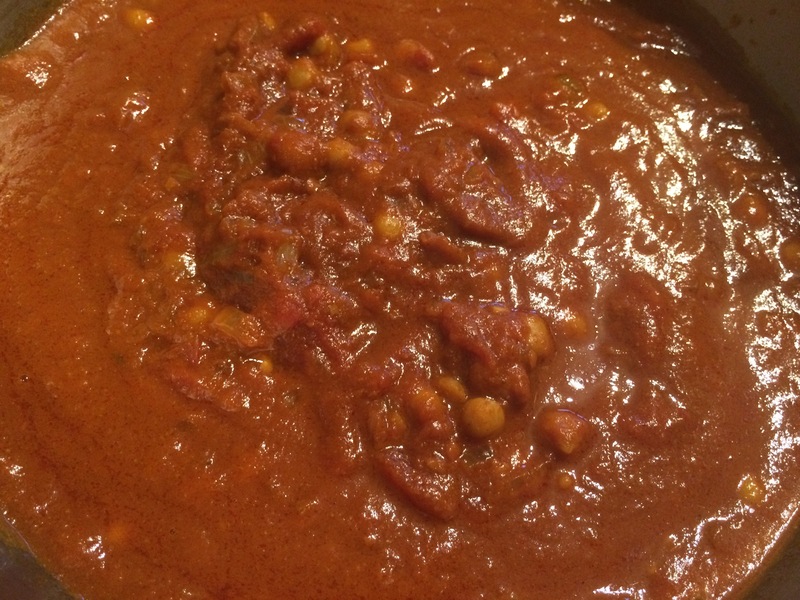 – Leave in the fridge to marinate overnight or longer. – Prepare the soba according to packet instructions (usually cook for about 4 minutes in boiling water). – Drain the noodles (don’t be too thorough) and then add the miso paste and dried wakame and tofu bits. Add a little splash of hot water to slacken. – Stir well to coat the noodles in miso. 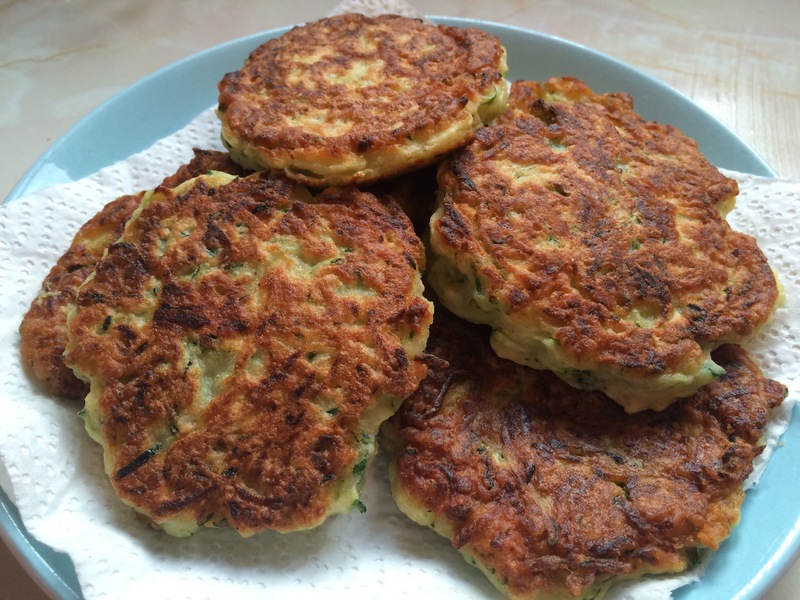 – Serve with edamame if you fancy them!